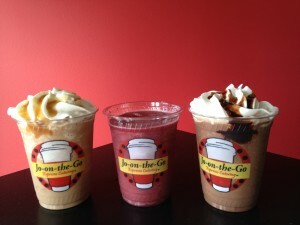 "The Coffee Shop That Comes to You"
$239 for the first hour and $125 each additional hour. Add a bar for only $155/hour. $259 for the first hour and additional hours for just $135. Add a bar for $165/hour. $269 for the first hour and additional hours for only $145. Add a bar for $175/hour. $279 for the first hour and $155 each additional hour. Add a bar for $185. Subscribe to receive our regular coupon emails and save on your next event!